Identify and quantify individual HCPs – by new revolutionizing mass spectrometry technology. Free online bioinformatics tool for easy analysis of your protein sequence. Often the outcome of our analysis depends on the samples you provide. 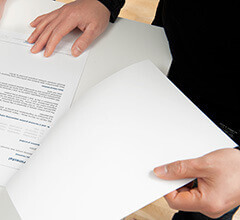 Use these protocols for better data. There are four different shipping methods. Select the one that suits you best. 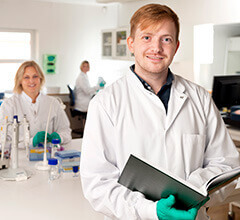 Our laboratory quickly serves customers worldwide. Order online or contact the nearest office. 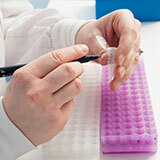 Do you need help setting up CDA, ordering and shipping samples? 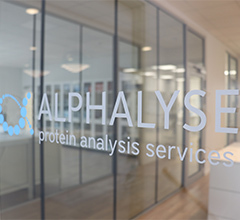 To find out what is brewing at Alphalyse, visit our news section or follow us on LinkedIn or Twitter. Thomas Kofoed presents at the upcoming SCIEX “Biologics Characterization Made Easy” meeting in Germany. The day is focused on recent developments in analytical technologies for biopharmaceutical characterization using Mass Spectrometry and Capillary Electrophoresis. Registration for the event is free but attendance is limited. 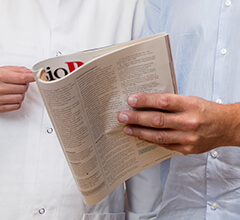 Video: What is the most Critical Quality Attribute of Biologics? © Copyright Alphalyse 2002 - 2019. All rights reserved.